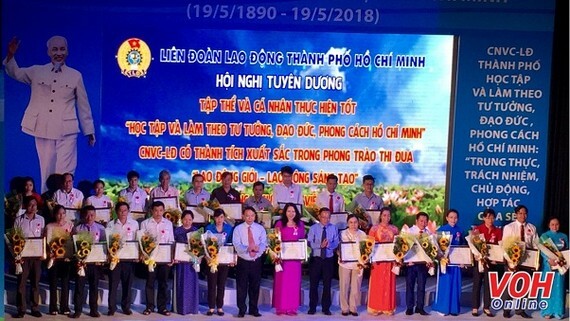 The Ho Chi Minh city Federation of Labor held a ceremony on May 19 to honor 93 individuals and 55 units in the “Studying and following President Ho Chi Minh's thoughts, morals and style” campaign. 73 honored people received also certificates of merit in the emulation movement titled “Good and creative employees”; and 76 persons got the title of “Good people, good work”. The ceremony aimed to mark the late leader’s 128th birth anniversary (May 19, 1890). 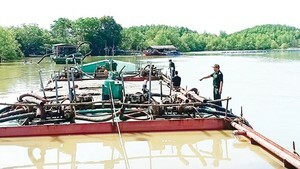 On the same day, the Vietnam Youth Federation Central Committee coordinated with the Association of Vietnam's Young Doctors and Binh Dinh Provincial Youth Union to launch the 2018 “Young Doctors' Day to follow Uncle Ho, Volunteer for Public Health” with the participation of 1,000 young physicians.